I’m a writing professor, and [my blog is] one of the places that I write. That was part of the motivation initially for me was you become a better writer by writing. I think that you could say the same about focusing or specializing in technology. It doesn’t make sense to me to talk about that stuff without actually doing it. 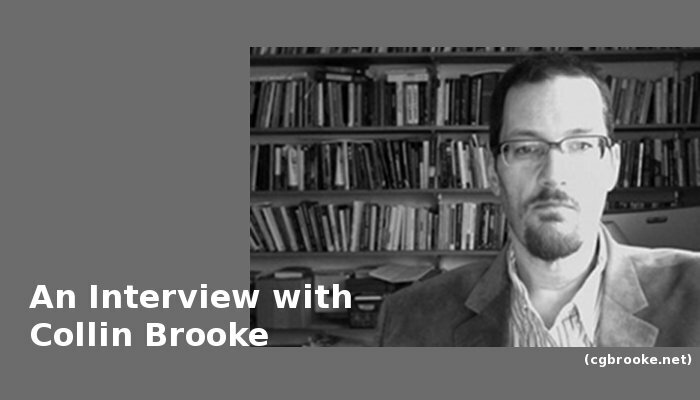 Episode 11 features Ben Kuebrich and Allison Hitt interviewing Collin Brooke about digital publishing, the value of new media scholarship, and getting involved with the digital humanities community. The music sampled in this podcast is “Quartz Boy” by Pixie Lord,“Emo Step Show” by Custodian of Records, “Namer” by High Places, and “Be Sweet” by Marco Trovatello.